2018 is soon behind us. Have you reached your goals and accomplished everything personally and professionally you put out to do? Today’s blog is going to take a little more of a personal spin. This year has brought me many ups and downs personally and professionally. As much as we want to think that we can keep them separate, it is not always that easy. My advice for today and into the new year is, give your mind time to process and understand the why, what, when, and how. Learn from your experiences and others. Here are some tips to learn from my experiences in 2018 as we roll into 2019. When something occurs in your personal life, whether positive or not so positive, take note of how your reactions will affect your professional life. If a loved one becomes sick or hurt, give yourself a moment to react then prepare and plan so your business can stay on track. Do spend time with positive individuals that are moving in the direction you would like to go. The individuals you spend the most time with both professionally and personally influence who you become. Take note of who you are spending your most time with: is their attitude positive; are they moving forward in their career; are they kind to themselves and others; are they supportive of your goals. Ask for help when you need it. Over the years I’ve become very independent and put a lot of pressure on myself. This can wear me down and cause me not to accomplish everything that needs to be done to reach my goals. When you feel overwhelmed, don’t understand something, just want someone else’s opinion, etc. ask for help. Your support system will do whatever they can to contribute to your success. Enjoy every day and every moment. Over the past few years, my family and friends have seen too much pain and suffering. Life is short, enjoy what you do every day. Learn something new every day. Make someone smile every day. Show someone you appreciate them every day. Be grateful for everything and everyone you have in your life. Every year around this time I sit down and reflect on the past year. I think about all the great things that happened in my life. I think about all the things that could use improvements. Then I make plans for the upcoming year and visualize how it will be even better than the year before. 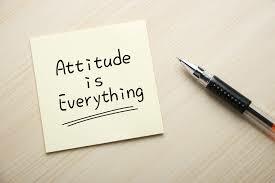 From my experiences, one of my biggest tips is: A Positive Attitude Makes Everything Better. Wake up every morning with a smile on your face with a feeling of gratefulness and go to bed every night with a smile on your face and a feeling of gratefulness. Every situation could be worse and there is someone in the world that is going through a situation that is worse than the one you are going through. So smile, be thankful, work through your situation, and know you are not alone. Make 2019 the best year yet. Happy Holidays!! !